If you are an agency or a marketer running campaigns on several different platforms, such as Adwords or Facebook, you probably dread having to gather all of that data from so many places. This data aggregation process can take hours upon hours. Fortunately, there’s tools such as improvado.io that now exist to help you with this daunting problem. These platforms automate data aggregation and allow you to create reports to view the data. You will be able to view all of your important marketing data in real time, in a single place, so you can say goodbye to tedious spreadsheet work. 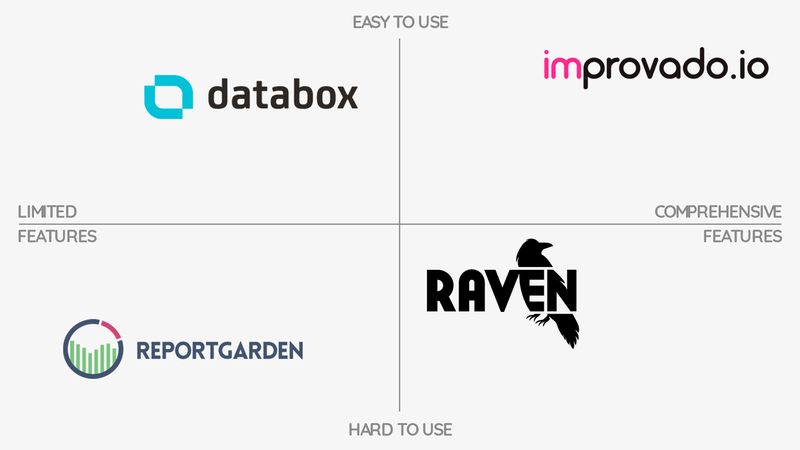 In this post, I will compare the platforms Databox vs Raven Tools vs Improvado vs Reportgarden. Improvado is an incredibly useful data aggregation tool that was built for marketers and marketing agencies. The platform allows you to gather all of your data in real-time into a single destination, with the ability to view that data in dashboards and automated reports (internally or client facing) or to send that data to the visualization tool of your choice like Tableau or Looker. 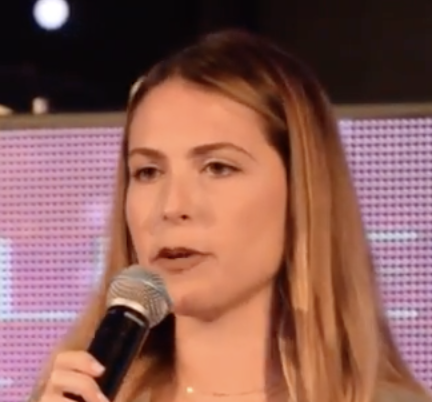 The platform is great for marketers and agencies, as it is specifically designed to to focus on the marketing dilemma, providing the ability to connect to any marketing platform necessary. In addition to this, the integrations run deep, pulling granular data from the ad and keyword level, letting you see the entire picture. 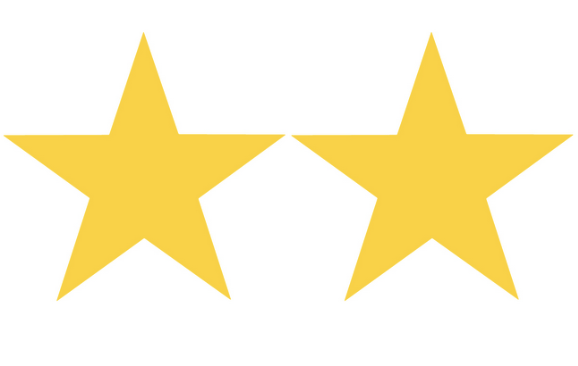 Perhaps one of the most significant benefits of improvado.io is its customer service representatives, who can help build out customer integrations and dashboards just how you want them. Data can be viewed both in the improvado.io dashboard and any other BI tool that you choose, such as Looker or Tableau. Pricing for improvado is on a custom basis. They can assess your needs and will share details about pricing if you set up a call. There are plans to increase that number to 500 by the end of 2018. Custom integrations can be built out for other data sources you may need. Databox pulls all of your data from various sources into a single destination, allowing you to track performance and explore insights in real-time. Databox is designed to be used by businesses both small and large, but some find that it can be challenging to connect al external data sources. Users can connect to several limited data sources, including the basic ones like Google Analytics, Adwords, Facebook Ads, and Salesforce, as well as import data from their own databases. The platform provides users with a single dashboard that displays KPIs and can generate reports but does not integrate with visualization platforms. Difficult to customize metrics. Unable to set custom date ranges. Databox offers a wide range of plans, including a free plan and agency pricing. The free plan is very limited in what’s offered. You can view all of the integrations here. Raven Tools offers SEO tools, including SEO audit reports, and white label marketing reports. The platform offers performance metric reporting from various sources, including AdWords, Search Console, Google Analytics, Facebook, and more. Who should use Raven Tools? Raven tools seems to be best for agencies due to client reporting appearing to be a significant part of the toolkit, however, there are features that are also useful for in-house marketing teams and non-client focused marketers. You can use the platform to pull data for client reports from more than twenty sources, such as Google Analytics, Adwords, and Facebook. It also offers the ability to run regular website audits and manage link building campaigns. The pricing for Raven Tools starts at $99 per month if you buy the tool for a year, or $109 if you choose the month-to-month subscription option. The company also offers a 14-Day free trial. Raven Tools offers 20+ data connectors. You can view some of the data connectors here. Reportgarden is a marketing agency software that offers tools for managing clients and campaigns, as well as reporting, within a single platform. ReportGarden is useful for agencies who need to create reports, invoices, and site audits for multiple clients, as well as manage campaign budgets. Plans for Reportgarden start at $149 per month for its Standard Plan. The company also offers a seven-day free trial of its platform. Reportgarden has 20+ integrations from which to pull data. If you’re looking for a tool that can gather all of your data from various platforms into a single destination, you will probably want to look at this list in great detail, comparing Databox vs Raven Tools vs Improvado vs Reportgarden.